The following guest is published in line with the Tax Justice Network’s aim to encourage and stir insightful international debate on tax. The views expressed in this blog, as with all guest blogs published by the Tax Justice Network, are the authors’ and do not necessarily reflect the views of the Tax Justice Network. Johannes Becker is Professor of Economics and Director of the Institute of Public Economics at the University of Münster. He has conducted research at the Max Planck Institute for Tax Law and Public Finance in Munich and Oxford, and is a fellow of the CESifo Research Network. Joachim Englisch is Professor of Public Law and Tax Law and Director of the Institute of Tax Law at the University of Münster. Previously, he was the Chair of Tax Law, Finance Law and Public Law at the University of Augsburg from 2008 to March 2010. Joachim Englisch has held various visiting professorships at home and abroad since 2007 and is a member of the OECD WP9, the VAT Experts Group of the European Commission and the scientific advisory board of the German Tax Juristic Society. 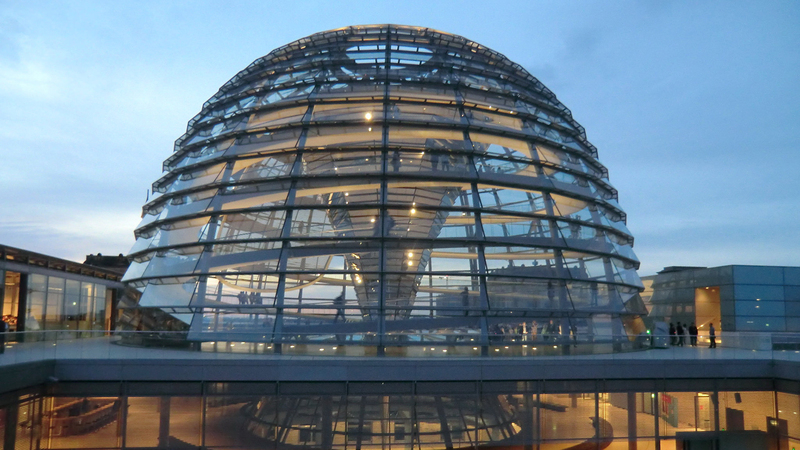 According to an undisclosed policy paper that is currently circulated within the OECD, the German government is promoting an internationally coordinated reform of corporate taxation. Specifically, Germany proposes an effective minimum tax on the profits of multinational companies. Complex, easy to manipulate and unfair – there is widespread discontent with the current system of international corporate taxation. The increasing digitalisation of the economy adds to the pressure for reform by providing companies with further opportunities to transfer book profits or real economic activities to low-tax countries. The OECD has therefore set up a Task Force on the Digital Economy (TFDE) representing 124 countries to discuss possible responses to these challenges. While some countries, for now, want to wait for the results of the measures taken so far under the OECD’s Base Erosion and Profit Shifting (BEPS) initiative and are, until then, opposed to further changes, a majority of countries is considering further steps including a realignment of the allocation of taxation rights. However, there is no agreement at all on the direction and scope of such a reform. The most recent OECD report to the G20, published at the beginning of December, identifies two main reform approaches. One group of countries, led by the UK, focuses on the traditional internet companies. These countries mainly criticize that, in the current system, the value creation by users of digital platforms (eg Facebook) is not taken into account in the allocation of taxing rights. The EU member states among these countries tend to support the EU Commission’s digital tax proposals, including a 3 per cent tax on the turnover of certain digital companies (the so-called Digital Services Tax). Another group, including the USA, favours a more fundamental reform in which (more) taxation rights are shifted to the market jurisdictions, ie where goods and services are ultimately sold and consumed. How does Germany’s reform proposal fit in here? The public opinion in Germany, as elsewhere, pushes for action against tax-saving arrangements and “aggressive” tax planning by big tech companies and other multinationals. But Berlin is, at best, lukewarm in its support for the Digital Services Tax. The expected revenue seems too low to justify the resulting cost in terms of complexity; and since the tax is, effectively, targeting primarily American Internet companies, there is the plausible risk of international retaliation, eg in the form of American punitive tariffs. A general shift of taxation to the market jurisdiction, on the other hand, is not in the German interest, given its huge and persistent export surplus – as such a reform would probably be costly for jurisdictions that produce more than they consume and invest. The German Minister of Finance, in close coordination with his French counterpart, has now taken the initiative and proposed a third way: an effective minimum tax on corporate profits. This instrument does not aim at a (definitive) reallocation of taxation rights, but instead adds a general backup-rule to the traditional allocation of taxing rights: if the jurisdiction that is entitled to tax business profits under the established rules of international taxation makes “sufficient” use of its right to tax, nothing changes. If, however, the tax burden on corporate profits is too low there, a supplementary minimum tax will be levied. This subsidiary right to tax would rest either with the country of residence (ie in the country where the firm has its headquarters, or where the ultimate parent or an intermediate holding is situated) or with the market jurisdiction (the country where the goods and services are sold and paid for). The new minimum tax would thus complement the defensive tax measures adopted under the BEPS initiative while, at the same time, reduce the importance of their full implementation. The BEPS measures are input-oriented and address transfer pricing, corporate and financing structures to ensure taxation “where value is created” (as the OECD interprets the existing rules). In contrast, the minimum tax approach is result-oriented and seeks to ensure that the overall tax burden on business profits does not fall below a (politically defined) “acceptable” level – the proposal thus puts more emphasis on taxing the “right amount” rather than taxing in the “right place”. In this sense, tax planning is effectively curbed, as the tax burden cannot be reduced below the minimum level, not even by means of tax shifting to low-tax countries. More specifically, the concept contemplates a two-pronged approach for the allocation of subsidiary taxing rights. First, in the multinational enterprise’s country of residence, the minimum tax is to apply if the multinational enterprise’s foreign income is taxed too little. In the market country, a minimum tax should be levied if the (ultimate) recipient is not subject to appropriate taxation there. In the first case, the minimum tax is equivalent to taxing foreign profits at a special rate with a tax credit system. The profits would be taxed on accrual, not upon repatriation, and the minimum tax would thus not create the incentive to keep and accumulate foreign profits offshore (as did the recently abolished US tax on worldwide profits). In the second case, the minimum tax would have the same effect as a preliminary withholding tax levied by the market jurisdiction, combined with a refund possibility if the state that is entitled to tax the corresponding income ensures a sufficient tax burden. Obviously, to coordinate the aforementioned two-pronged approach, priority rules are needed to avoid international “double minimum taxation”. Apparently, the German proposals suggests that the allocation of responsibilities for the avoidance of hybrid mismatch arrangements in BEPS Action 2 could serve as a blueprint, albeit not necessarily regarding the specific priority order. While it would conceptually be little short of a revolution in the international tax law framework, the technical implementation of the proposed minimum tax would therefore not raise many new issues. Developed countries have already gained some experience with the technical aspects of the proposal. In particular, standard controlled foreign corporation regimes and switch-over rules already provide for supplementary taxation in the country of the firm’s headquarters where passive income of foreign subsidiaries or branches is taxed too low. This foreign-sourced income is then often added to the domestic tax base while the foreign tax is credited. In a similar fashion, some sophisticated market jurisdiction regimes such as the German royalty deduction barrier (“Lizenzschranke”) already make the full deduction of outbound payments contingent upon their tax treatment abroad (in case of the German rule, deduction is partially or fully denied if the royalty income benefits from low taxation due to a “harmful” intellectual property regime in the sense of BEPS Action 5). Compared to some of the regimes that are currently already in place, the proposed minimum tax would merely differ in two key aspects. On the one hand, the minimum tax would not be limited to tax arrangements that are deemed abuse or artificial avoidance. On the other hand, the tax burden would not be elevated up to the standard domestic rate, but instead only to an “appropriate” minimum level of taxation. The minimum tax proposal also has some other advantages. Regarding the prospects of becoming part of a future OECD compromise, the most important one is probably that there are some strong links to the new US tax system. When the US introduced territorial taxation in 2018, it reserved the right to tax foreign-sourced “Global Intangible Low-Taxed Income” (GILTI) – essentially defined as above-normal profits that exceed a standard return on the use of tangible business assets abroad. However, the GILTI is only partially included in the US tax base, and the US concedes an 80 percent foreign tax credit, so that the GILTI is roughly equivalent to a minimum tax on GILTI where the effective minimum rate does not exceed approximately 13 per cent. Conversely, the so-called Base Erosion Anti-Abuse Tax (BEAT) creates a kind of minimum taxation in case of “excessive” deduction of certain outbound payments to related parties abroad. It should be noted, though, that BEAT is criticised for not crediting foreign tax payments and for granting a wide range of exceptions which render its operation unnecessarily complex. Any internationally agreed minimum tax standard should do better than this (see Herzfeld 2019 for more potential lessons from GILTI). A minimum tax is also likely to be attractive for many other countries because it tackles a focal point of the public tax justice debate: the low tax payments by some multinational companies. If the minimum tax were successful in making all companies pay an “adequate” amount of taxes somewhere in the world, the fairness issue would be reduced to the distribution of revenue between states. Some might then still find it unfair that Google, Facebook and so on pay taxes in the USA and not in Germany, France or Britain – but at least they would pay taxes somewhere. At the same time, effective minimum taxation would impose a lower bound on international tax competition. It would no longer be attractive for companies to relocate production or book profits to tax havens or countries with effective tax rates below the minimum rate. This is likely to make corporate structures more efficient. On the other hand, low tax locations would no longer have an incentive to set (effective) tax rates below the minimum rate. In other words, a tax increase in these countries is possible without increasing companies’ tax payments (the classic “treasury transfer argument”). These countries would have to find other competitive strategies (eg by focusing on financial services, etc) which would hopefully create competition that is more growth friendly than the current one for book profits. If today’s tax havens increased their rates, this could mean, of course, that Germany, France and other high-tax countries would hardly receive higher revenues through minimum taxes. However, a fair and efficient international tax system should be desirable even if no substantial revenue increase for high-tax jurisdictions is expected. As a caveat, the proposed minimum tax has its own complexities. One question is how to put the country that seeks to ensure minimum taxation in a position to measure the effective tax burden of income abroad. This is not a trivial task, given the differences in the rules for determining profits from country to country. The difficulties are likely to increase if there are several intermediate stages downstream (from the point of view of the country where the payment takes place) or upstream (from the point of view of the country of residence). An expansion of country by country reporting and the (automatic) exchange of information would be necessary in this context. It is also conceivable that especially in the market jurisdiction, the burden of proof is reversed, ie the minimum taxation regime would be based on rebuttable presumptions regarding the company’s income and tax payments. In this case, the taxpayer would have to prove that the foreign tax burden effectively corresponds at least to the required minimum taxation level. The exact scope of application would also have to be specified. For example, the question arises whether the firm’s state of residence should be entitled to tax the profits of subsidiaries in low-tax locations even if the subsidiaries produce (exclusively) for the local market there. It should also be clarified whether for establishing the level of effective foreign taxation, the foreign tax payments are averaged over all foreign firm locations (as is the case with the American GILTI) or – probably better – individually for each foreign jurisdiction. For the market country, a key question with regard to the supplementary taxation of outbound payments is whether or not to limit minimum taxation to transactions between related parties. In any event, a minimum tax alone will not address the issue that motivated the Digital Services Tax: the fact that digital companies can be economically active in a country without having a physical presence there. An accompanying reform that focuses on this specific problem is therefore likely to be part of any future OECD compromise. Elsewhere, we have outlined a concept for how the problem can be solved without compromising the logic underlying the current system of source taxation. For EU member states, the question arises whether the proposed minimum tax would be compatible with EU law requirements. Any action taken only at the national level of Member States would be at risk of not passing scrutiny from Court of Justice of the European Union. According to settled case law, the exploitation of a lower level of effective taxation abroad does not, in itself, justify countermeasures that restrict the internal market free movement guarantees. Unless the Court changed its position, extended controlled foreign corporation regimes or minimum taxation limits on payment deductions would thus give rise to considerable concerns, because they would essentially only apply to crossborder transactions. The alternative of levying withholding taxes in the market jurisdiction on nonresident payees with an option to subsequently apply for full or partial reimbursement based on an assessment of the level of foreign taxation of the respective income would have its own intricacies. Admittedly, the Court has been more generous in its acceptance of withholding taxes, under a fundamental freedom analysis, as long as resident payees are ultimately also subject to at least the same level of domestic taxation regarding the affected income. However, such withholding taxes could only be partially implemented because of the provisions of the Interest and Royalty Payments Directive 2003/49/EC. The only feasible way forward would therefore probably be a harmonised implementation, at Union level, of an eventual global agreement on minimum taxation (“ATAD III”). While some doubts would remain, the Court of Justice of the European Union has so far been more lenient with regard to its fundamental freedom scrutiny of European secondary law. If individual countries were to block the initiative for minimum taxation, enhanced cooperation between the other member states under Article 20 TEU could do the trick. In total, the German proposal for a minimum tax has its merits – and it is a clever move to deflect from the debate on a re-allocation of taxing rights, or at least provide strong arguments for a reduced scope and impact of the other proposals that are currently on the table. This applies not only to the proposed EU Digital Services Tax, which is unpopular with the German government, but also to broader efforts within the framework of the OECD Task Force on the Digital Economy to shift taxing rights to the country of destination (ie the sales market states). With the minimum tax now proposed, the German Finance Minister can argue that in future the destination country would have subsidiary taxing rights whenever the recipient state does not exercise its taxing rights sufficiently, and that the problem of undertaxation of large digitalised businesses would also be taken care of.